I followed up my traditional Christmas Day Century with another century today. I felt pretty good most of the day. I went north today towards Los Angeles. I didn’t know where I was going but I just wanted to venture out in a different direction. I didn’t care for all the traffic and signals. On my return leg I found the bike path in Marina del Rey, along the water’s edge that was MUCH better. I made a rookie mistake today. I went out riding deep section wheels without having a tube with a long enough valve stem. 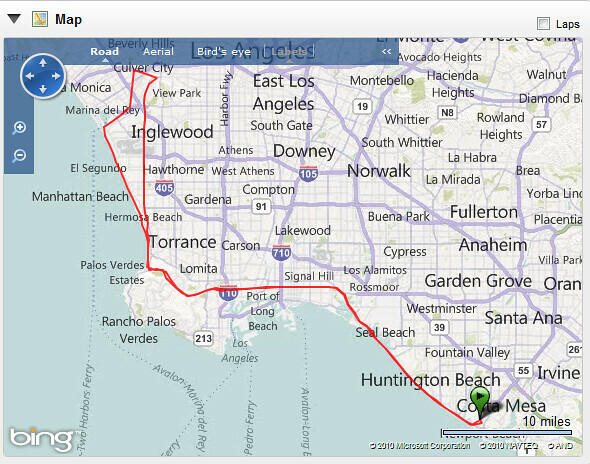 I flatted in Culver City which was 50 miles into my ride which was an out and back– essentially I was 50 miles from home. Luckily, a very nice man by the name of Ruben gave me a lift to a bike shop nearby. I purchased two tubes and was on my way. My rookie mistake cost me an hour off the bike 😦 All’s well that end’s well- I got my century in afterall. You can read more about Boxing Day here. George that bike looks delicious. 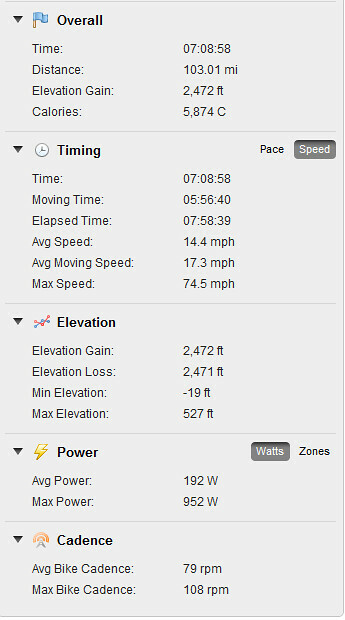 Now it says on your stats maxium speed 74.5 mph, SAY WHAT? Is that a typo, if that’s true that scares me just looking at those number. Keep on biking. Your an inspiration. 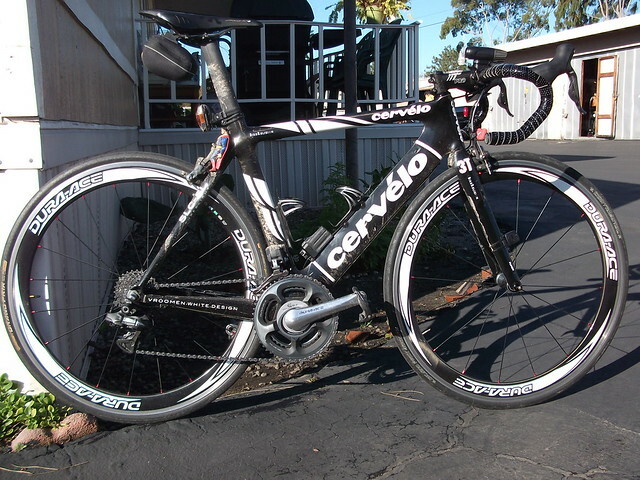 When I flatted and didn’t have the right size valve length I was rescued by a very nice gentleman. He took me to the local bike shop on the freeway. You’re as much an inspiration for riding in the snow. When I see you riding I don’t feel sorry for myself when it rains here. I just bought a complete bike with my first-ever deep section rims. One of the first things I did to avoid just the problem you encountered was to stash a valve extender in my bag. Yes you would think since I work in a bike shop that I would have the right valve stem length. But I as I said in the post the wheels were shop demos and I thought I had 60mm tubes in my bag. I’m such a knucklehead I should have checked. On another topic — how will I know you are so that we could meet up at HGH?